It was only when I looked down I saw the difference. 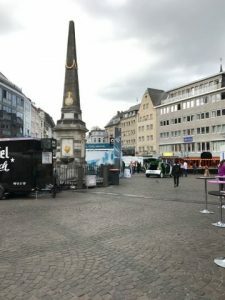 The Old Market Square in Bonn is similar to many others with its cobbled paving, an old town hall and cafes opening on to it. 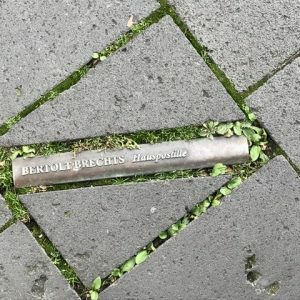 But cemented between the stones of this square are bronze spines of books the Nazis deemed unsuitable because of the content or the author. Sigmund Freud, Albert Einstein, Erich Kästner who wrote for children and adults, Ernest Hemingway, Helen Keller, Victor Hugo and Leo Tolstoy were among more than 120 writers banned for a host of reasons. 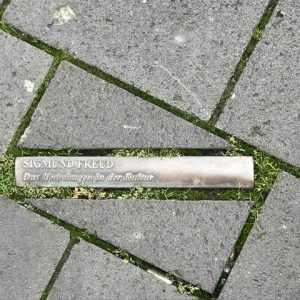 In May 1933 their works were burned by students and Stormtroopers in cities and university towns, including Bonn, across Germany. The books came from libraries and bookshops that had been instructed to remove them, and from homes. After the war all books bearing Nazi propaganda were removed by the occupying powers, with the result there was a shortage of books for children (See Blutenburg Castle – Feeding Children’s Minds). 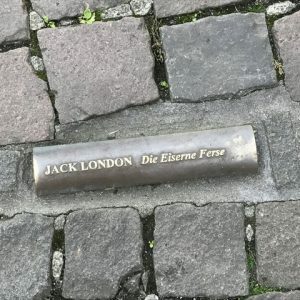 Book Marks is Bonn’s memorial to the dreadful night in the town’s Market Square. 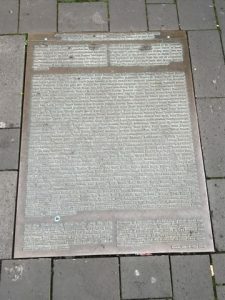 Besides all the bronze spines, a chest containing a copy of all the titles burned in Bonn is sunk into the square by the steps of the town hall. On 10th May each year the chest is raised and opened. Excerpts from the books are read aloud and the books then distributed to people watching. The chest is refilled with more books, sealed again and sunk back into the square for the next twelve months. It is a moving ceremony. Further afield, near a park beside the River Rhein in Bonn, is another example of how attitudes have changed since the 1930s. 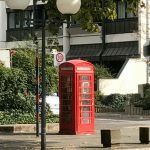 A red UK telephone box is stacked with books on short shelves. It’s a Little Free Library, or Book Exchange as some know it, waiting for anyone to read any published title any person has left there. Fascinating Diana. Must get to Bonn one day to see it for myself. It’s worth visiting, Marjory https://marjorygardner.com Beethoven’s house is there, too. What a beautiful story Diana, just so touching. Although I lived in Germany for a while, many years ago, I never went to Bonn. Once again you have shared with readers a fascinating piece of history discovered in your travels. Thank you. Where did you live in Germany?